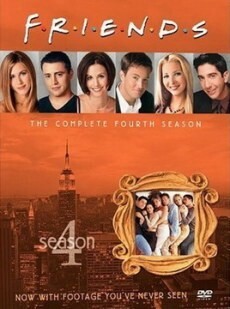 Episode 4x22 (The One with the Worst Best Man Ever) is approx. one minute longer. Basically, every main character gets their additional moments. 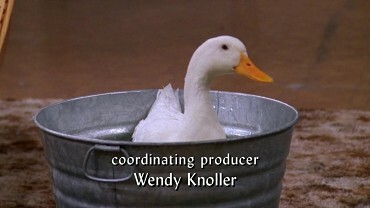 And once again, there is an additional end credits scene. Only this time, the scene from the TV Version has not simply been added at the very end, no. Here, the scene from the TV Version is entirely missing for a change. 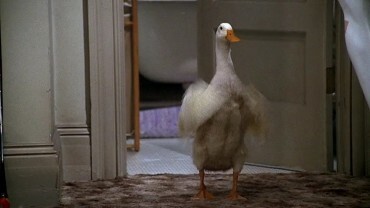 As a result, the TV Version (Blu-ray) contains a further scene with Chandler's and Joey's rather unusual pet. 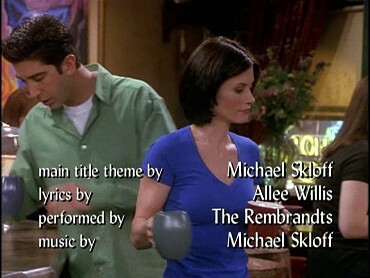 The Extended Version on the other hand contains a scene with Monica and Ross. 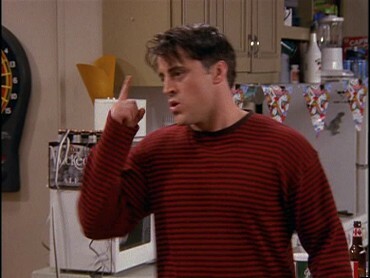 She points out he gave their grandmother's wedding ring to Emily. 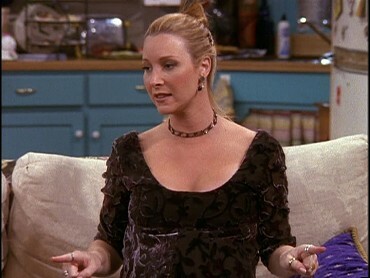 Alternate take Phoebe saying she was sick of being pregnant. In the Extended Version, she exclusively adds: "I can't sleep, except on my back which hurts! So I can't sleep!" 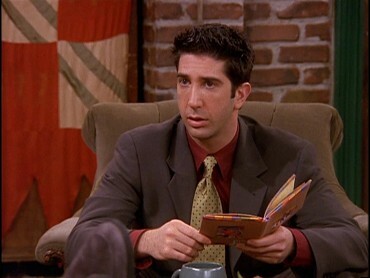 Profile shot of Chandler in the TV Version. 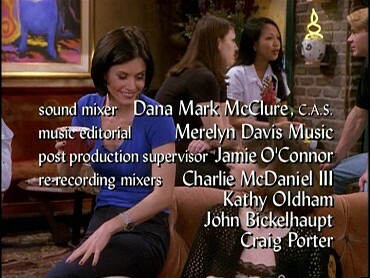 Monica a little longer: "(Like-like umm, regular coffee, Tequila,) a carton of cigarettes!" 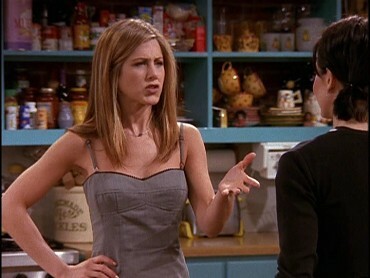 Rachel: "What? She doesn't smoke." 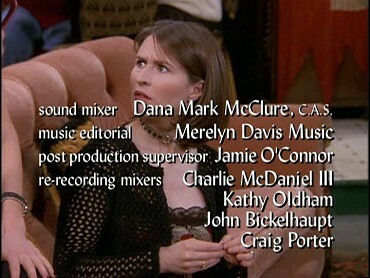 Monica: "It's the thought that counts." 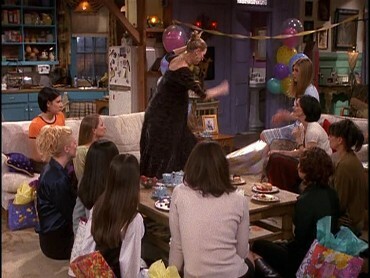 Rachel: "Oh, no, it's a great idea, it's a great..."
In the TV Version, Phoebe is longer upset about the gift (no screenshots). In the Extended Version, she demnds to know: "Who gave me this?!" Jasmine in a rather whiney way: "Well, I...I...They told me you'd like them." 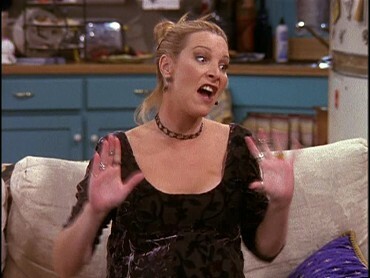 Phoebe responds with sarcasm: "Oh, oh. All right, then I'm wrong! It's a great gift! The best present I ever got! OH!" 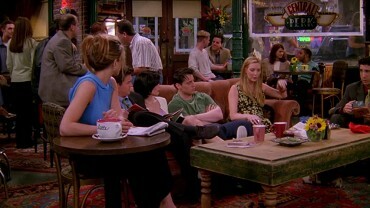 Phoebe is full of anger wwhen she leaves: "All right, fine, then this is over." She kicks a gift, tears down one of the banners and punches one of the balloons: "God! Balloons!!" 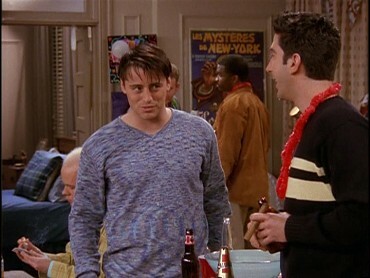 Joey also says: "So you know who to ask to host your next bachelor party? Huh?" 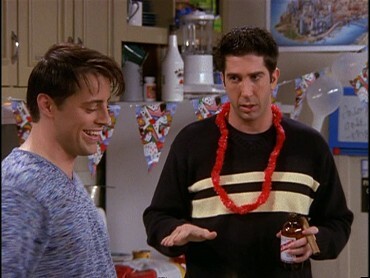 Ross: "Joey, I'm kind of hoping this will be my last one." 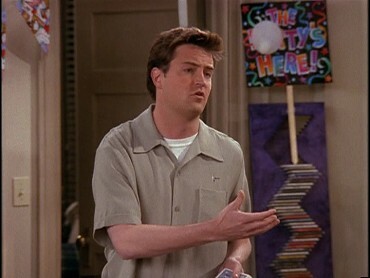 In the Extended Version, Chandler also says: "I'll tell ya, Joe. 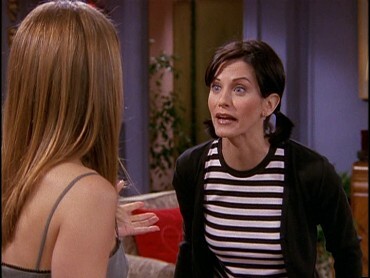 I really wanna help you out but I got plans to go see Titanic so I've to got call 9-1-1 to found out what time it starts!" 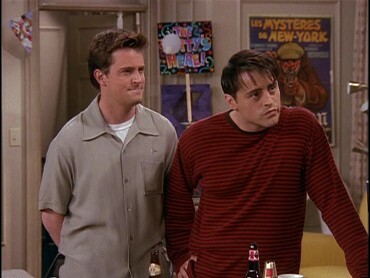 Joey angrily raises his hands. 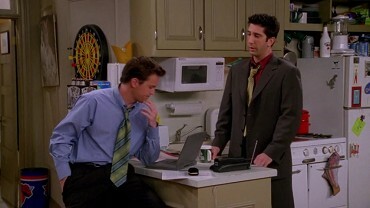 In the TV Version, the subsequent shot of Chandler starts a little earlier instead (no screenshots). 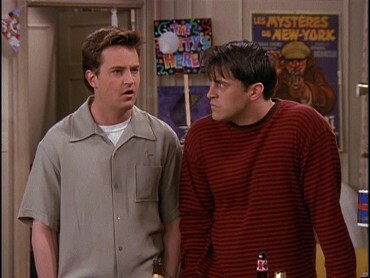 Ross: "What-what did you just---"
Chandler: "I think I heard what he said. I believe it was, oh yes, The stripper stole the ring." 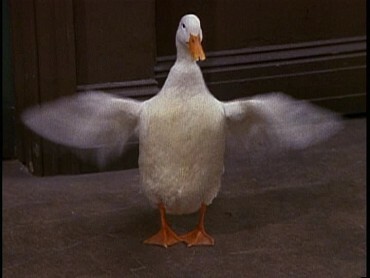 Alternate shot of the goose. 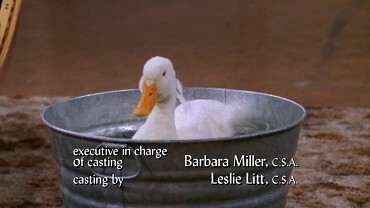 Last commercial break black screen alteration in the TV Version, followed by goose while the end credits are rolling. 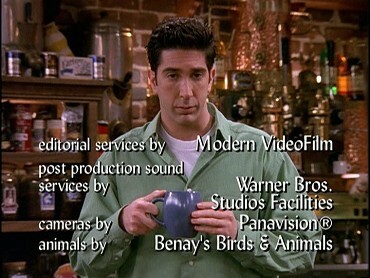 The Extended Version on the other hand contains an additional scene with Ross, Monica and Emily at the Café. 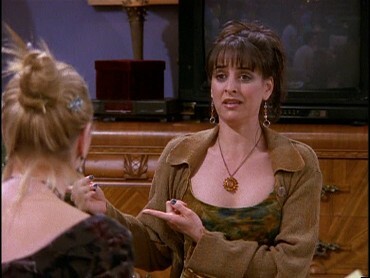 Monica witnesses Emily putting on her grandmother's weding ring: "Hey, how come you're getting Nana's ring?" 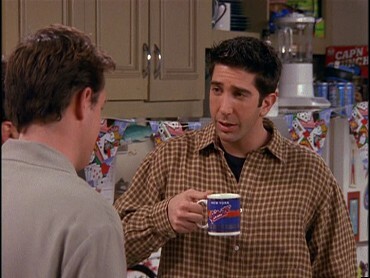 Ross: "Oh, mom gave it to me. She said something about it being a wedding ring and that you may not need...one. 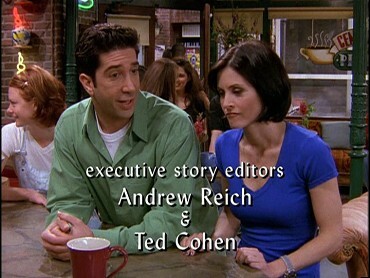 I really didn't need to tell you all that." 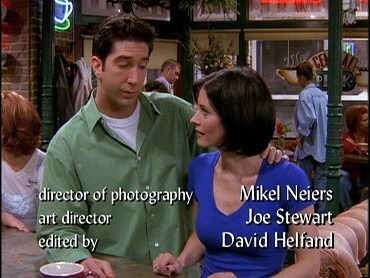 Monica: "Y'know? I don't really think it's fair. I mean, I've always loved that ring." 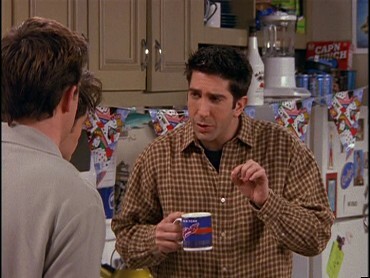 Ross: "Oh, Mon, I'm sorry. I'd let you have it but Emily's gotten really attached to it. Thanks." Monica appraoches Emily and gives her the coffee: "Here you go." 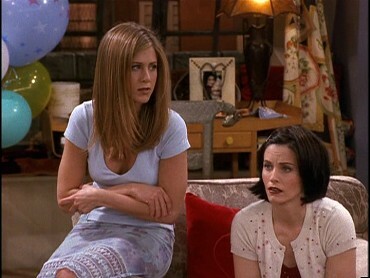 Monica: "Hey, Emily, umm, did you know that that ring spent two days in a duck's colon?" 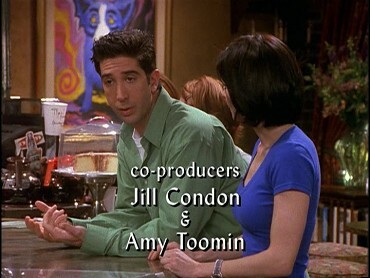 Emily seems shocked, then Ross one more time.